Commercial Van Hire From Budget. Budget van hire has a national network of locations offering a wide range of light commerical vehicles. 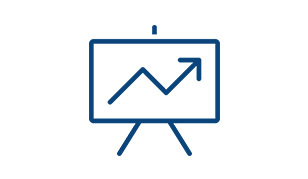 We offer competitive business solutions to cover all short, medium and long term rental durations. 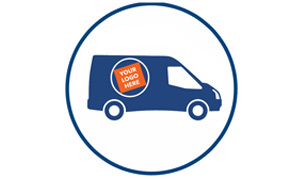 Our van team is ready to support and advise you on short term van solutions right through to adding additional non-standard specification, including company branding to make sure your van is fit for purpose. Alternatively if you're hiring for leisure, this page is for you. If that sounds like a plan, please call us on 0344 544 7722 for more information and to set up a Budget business account. If you already have an account, please dial 0808 284 1111 to book a van. We offer a comprehensive range of standard and specialist vans covering a wide range of payloads, load lengths and cubic capacities. Our standard range includes small vans like the Citroen Berlingo and Mercedes Citan, our mid-sized range includes Ford Transit Customs, VW Transporters, Renault Trafics and the Peugeot Expert. In addition we have a fleet of larger vans such as the Renault Master and Fiat Ducato. For specialist vans such as tippers, box vans, crew vans and pick-ups then please call 0844 544 7722 for more information. 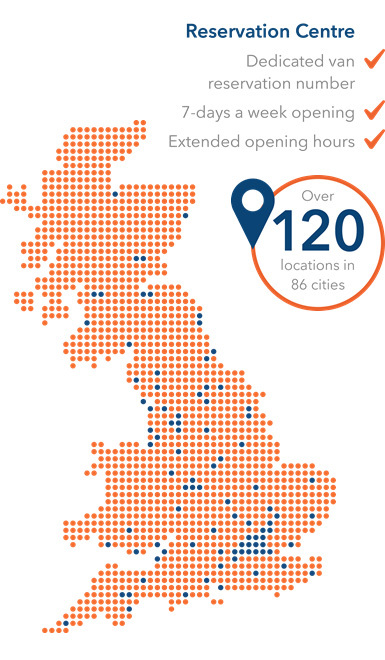 We have 120 local car and van stores, including specialist van hubs conveniently dotted across the UK so you are never far from your nearest Budget location. Short, medium or long-term, we have flexible rental solutions to suit whatever length of rental you require. Find out more. Whatever your requirements Budget can tailor a vehicle to your exact specifications so it is fit for purpose. Using Budget’s knowledge and experience as an extension of your fleet team can help you with every aspect of managing your van hire. 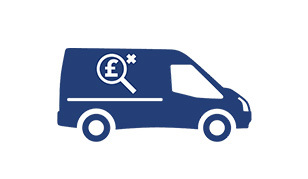 It's estimated that downtime can cost van operators an average of £727 per day. 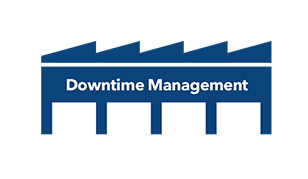 We're committed to a fully comprehensive infrastructure to support you in managing downtime. Our accurate, fair damage process, seamless back-office support and ease of billing are a few of the services we provide to ensure a stress-free experience both during and after your rental.